While gambling is largely luck-based, there are certain games that give you a higher chance of winning. In addition to using advantage play, choosing games with a low house-edge will increase your chances of winning big. In this article, we explore the best and worst casino game odds to find out which games give you an edge. To be in with the best chance of winning, stick to table games. Many people don’t realise that table games have better odds than slots. Some are intimidated by table games, believing that they’ll be up against the best of the best. However, this doesn’t have to be the case. While some table games require a high level of skill, others can be picked up in minutes. If you’re unsure of the rules, begin by just observing. Below, we discuss some of the table game odds further. With a house edge of just 1 per cent, blackjack gives you the best chance of winning. Additionally, you’re only playing against the dealer. This means that you don’t have to worry about how experienced the other players are. As one of the easiest games to play, blackjack can be enjoyed by people of all abilities. All you need to do is beat the dealer’s hand without going over 21. To begin, two cards are given to the dealer and each player. Before any cards are laid, each player must place their bet. Each player is given the option to either hit or stay, although the dealer must draw up until twelve and then stay once at seventeen. If you’re new to blackjack, choose a quiet time for your first game. Most casinos are least busy in the afternoon, particularly during the week. If the table is quiet, the dealer should be happy to walk you through the game. If you’re bored of blackjack, consider moving onto craps instead. Instead of using a deck of cards, craps is played with 2 dice. While the odds of craps aren’t quite as high as blackjack, they are still nearly 50-50. With this in mind, the game is a great second choice! As the table is filled with boxes, it can be a bit intimidating for new players. However, it’s not that tricky to get your head around and offers you a great chance of winning. Essentially, all you need to do is bet on a dice roll. To win a game of craps, all you need to do is correctly guess the outcome of your dice roll. To play the game, you’ll need to roll 2 dice down the table until they hit the back wall. If the dice show your predicted number when they stop, you win the bet. After craps, the best next odds can be found in roulette. Just like the previous games, roulette is simple and pays fairly well. 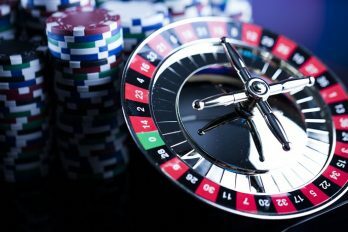 To play a game of roulette, you must begin by passing your money to the dealer in return for chips. Depending on your preference, the chips will either be colour chips or cash value chips. Once you have received your chips, you can begin to place them on the roulette table. You must have placed all of the chips before the ball lands in a designated slot; whatever slot the ball drops into is the winning number. Once the game is finished, coloured chips can be swapped for cash chips which can then be exchanged for money. There are several different betting options in roulette. The first option is to predict exactly which number pocket the ball will land in. If you guess correctly, you’ll receive a large amount of money. Although this method pays well, the odds are incredibly low. With over 30 numbers on the wheel, the ball is unlikely to land in your predicted pocket. The other option is to place a colour bet. For this type of bet, all you need to do is guess whether the ball will land in a red or black pocket. If you choose this method, you’ll have nearly a 50-50 chance of winning. In addition to the red and black pockets, the American roulette wheel contains two green pockets for the number 0 and 00. If the ball lands in either of these slots, you’ll automatically lose the bet. So now we’ve discussed which games have the best odds, let’s move onto which games have the worst. 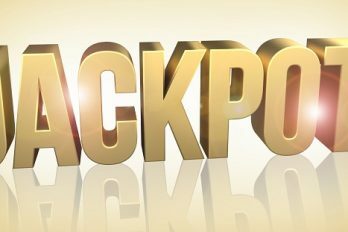 According to Forbes Magazine, the casino games with the worst odds are Wheel of Fortune and slot machines. With a house edge of 10 per cent or more, these games give you the lowest chance of winning. With slot machines, the more money you put in, the higher your chance of winning. With this in mind, penny slots have the lowest odds, and the £1 and £5 slots have the highest. If you’re just gambling for fun, penny slots are a great way to make your bankroll last. However, to be in with the best chance of winning you’re better off sticking to the more expensive machines. For the best chance of winning, enjoy a game of blackjack during your next casino visit. 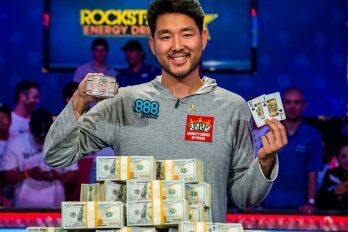 According to University of Cincinnati professor of analytics, Michael Magazine, blackjack is the best way to go home with a profit. He says that taking a little time to learn the game will give you the best odds of winning. If you know how to play, you have roughly a 48 per cent chance of winning every single hand. Unfortunately, no other casinos game offers odds that good.